Good morning, everyone, just wanted to briefly announce that the new GaryWOlson.com is now up and active (and actually has been since Saturday afternoon, when I did the switch from Joomla to WordPress). All the pages and blog entries have been transferred over, and all the old URLs have been redirected to the new ones. 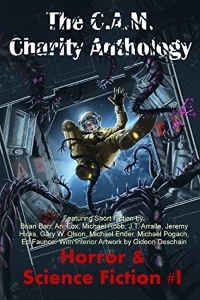 The RSS feed was also redirected to the new one (http://www.garywolson.com/feed/), so if RSS is how you keep up with this blog, you won’t need to make any changes (unless you want to, I mean). I’ve also taken the opportunity to implement a couple new features. It’s now possible to subscribe to my blog entries via e-mail (not to be confused with subscribing to my newsletter, which will still be a no-more-than-once-a-month-and-usually-less affair), and the box for doing that is on the left column of my website pages. It’s also possible to use Google Translate to shift everything into another language entirely, though I won’t be able to vouch for how accurate it is. 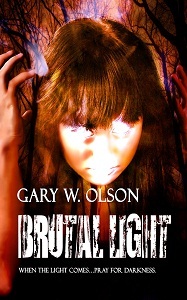 ***Gary W. Olson is the author of the dark fantasy novel Brutal Light and several previously published and forthcoming short stories. He can be found via his website, his blog, on Facebook, on Twitter, and in many other far-flung places on the Internet.